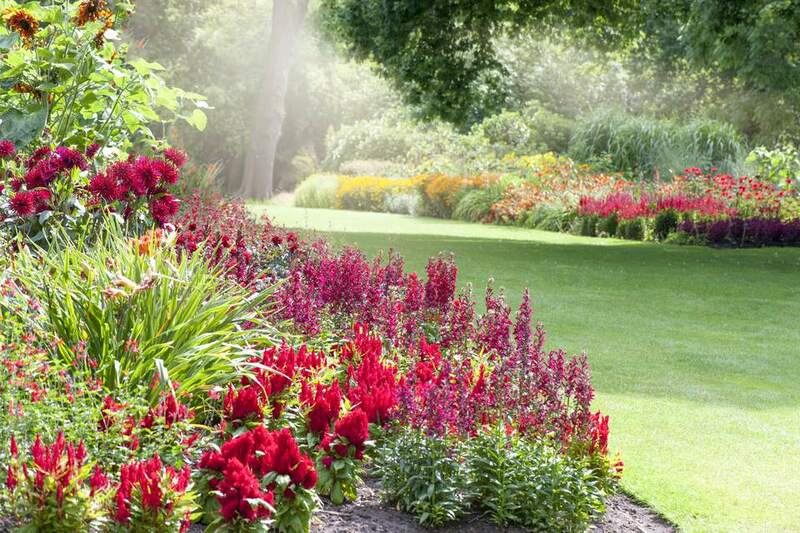 10 Foolproof Perennial Plants for the Northeast U.S.
Perennials are the heart of many ornamental gardens, adding color and texture. If you can make them happy, they will stick around for years and get larger and even more floriferous, so it is important to choose plants that are suited to your growing conditions. Those conditions will include soil, sun exposure, hardiness zone, and the amount of time you have to devote to their care. Beyond the temperature extremes of hardiness zones, some plants just do better in certain areas of the county. Delphiniums struggle through hot, dry summers. Guara can be capricious in frigid winters. Here are 10 easy-to-care-for perennials that will grow just about anywhere in the Northeast. 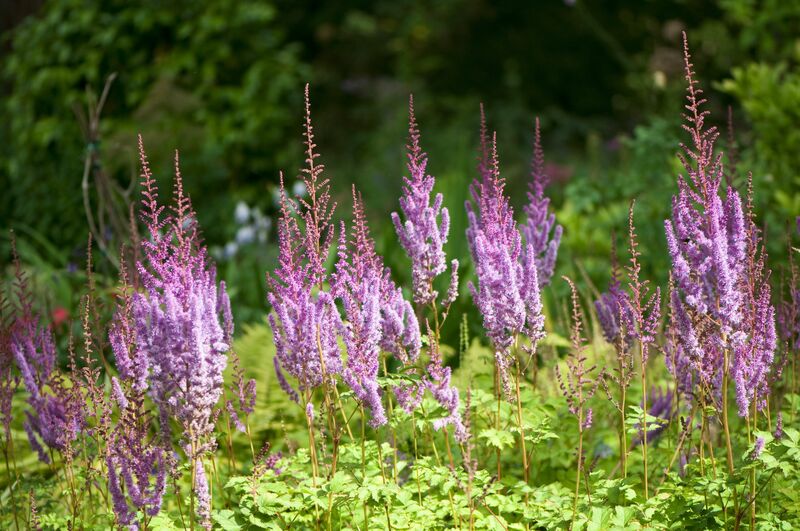 Astilbe plants have tall flower plumes and attractive lacy foliage. There are varieties that bloom from mid-spring or well into summer. Although it only blooms once, the flowers stay attractive for weeks, even managing to look good as they dry, so no deadheading is required. The only required maintenance is to cut back the dead leaves in the fall or spring. Most astilbe plants grow more vigorously if divided about every three years, but it will grow just fine if you wait longer than that. Although astilbe plants are labeled full sun, in the hot, often dry northeast summers, it fares better when given some afternoon shade. Otherwise, it will need supplemental water. Spike Speedwell (Veronica spicata and hybrids) grows into dense mounds of foliage with tall flower spikes that stand above the leaves. It flowers in shades of pink, white, purple, and almost blue. The flower stalks do need to be cut back to get a repeat bloom, but since it gradually flowers from the bottom of the spike upward, it stays in bloom for weeks at a time. Behavior Problems: Many of the non-hybrids tend to self-sow, but not to the point of being a nuisance. Coral Bells are loved for their delicate coral-colored, bell-shaped flowers that wave above the foliage on long, thin stems. More recently, it has become the darlings of plant breeders, and although it rarely has coral flowers any longer, it more than makes up for it with its colorful foliage. Some gardeners even cut off the flower stalks, so it does not distract from the leaves. The biggest problem with growing coral bells in the Northeast is its tendency to heave out of the ground in winter. Mulching it after the ground has frozen will help protect the crown from cold damage. Exposure: Full sun to partial shade. They do not like hot, dry soil and strong sunlight can wash out the leaf colors. Both the old-fashioned ephemeral Dicentra spectabilis and the repeat flowering fern-leafed varieties qualify as lower-maintenance plants. Dicentra spectabilis and its hybrids only bloom once, in mid-spring, but it remains in flower for weeks. Its major drawback is that it cannot handle hot summers. When the temperatures climb, it either slowly fades to yellow or disappears completely, leaving you wondering if they succumbed completely or just called it quits for the season. Dicentra eximia and D. Formosa will repeat flower periodically throughout the summer. Its only flaw is that the old foliage can start to look faded as new growth comes in at the base. Behavior Problems: Self-sowing, but not to the point of nuisance. The foliage of both types can start to look ugly by early summer. Deadhead: Not necessary, but Dicentra eximia and D. Formosa will look and flower better if you do. Many people probably think of geraniums as the red and pink annuals in window boxes. Those wonderful plants are not true geraniums. Geraniums are low growing perennials that spread or weave themselves throughout nearby plants. There are many new cultivars, the best so far being "Rozanne," a blue variety that blooms non-stop throughout summer. Hardy geraniums have a cottage garden feel and have been used to great effect under plants with less than attractive stems, like roses. Some grow like ground covers, but most varieties look best when allowed to spill through other plants. Deadhead: Some older varieties look better when cut back to allow basal growth to fill in. Newer varieties do not seem to need this. If you still think of catmint as an unruly weed, have another look at some of the wonderful recent introductions. In particular, "Walker's Low" is an excellent, well-behaved garden plant. The low in the name refers to a place, not the height of the plant, which can easily reach 3 feet tall. So many places in the northeast cannot grow decent lavender. It suffers winter dieback and summer mildew. Catmint may not have lavender's scent, but it makes a lovely cloud of blue, and it will repeat bloom after deadheading. The bi-colored Eastern red columbine is native to the northeast U.S. and is still prized as a wildflower. It has been joined by a series of colorful hybrids that fill the gap in the garden between early spring bloomers and peak season. Most will happily self-sow throughout the bed and if you have more than one color, be prepared for some interesting offspring. Although it does re-seed readily, it can be easy enough to weed out or transplant elsewhere. Once established, columbine plants can be very drought tolerant. Deadhead: No, unless you do not want them to go to seed. Its common name "Russian sage" should tell you this plant is hardy in cold climates. It is actually considered a sub-shrub, meaning it is woody, but can die back to its roots in winter. However the roots are extremely hardy, and most plants can survive down to USDA Zone 4 with some protection. The only maintenance Russian sage requires is a hard pruning in the spring, when the buds are just beginning to break. It blooms on new growth, so cutting it back to 6 to 8 inches allows the whole plant to fill back in and burst into bright blue bloom in late summer. It can send out runners, which should be removed early before they get a chance to take hold. It does not transplant easily. Behavior Problems: A tendency to spread, once established. Daylilies are ubiquitous in the Northeast. The sheer abundance of choices makes them a northeastern garden staple. It tends to fill out quickly, which is a nice feature if you are just starting a garden. But that means it will also require dividing every few years. You can usually find another gardener willing to take your excess if you have run out of space for it. Although many of the older varieties are lovely, you will get more mileage out of repeat bloomers. You will not even have to deadhead some of it, for it to bloom again. "Happy Returns" is a classic choice in cultivar. Deadhead: Yes, for older varieties. Cutting back the flower stems encourages faster re-blooming. Peonies love the chill of a northeastern winter. It needs several weeks of cold temperatures to set its flower buds for the coming season, and the Northeast can reliably provide that. Unfortunately, the Northeast also has hot, humid summers which can cause gray mold, or botrytis, on the leaves. Be sure to place your plants where there is good air circulation, so the leaves do not remain wet for long periods. It is best to cut the plants back and dispose of them at the end of the season since spores can over-winter and reinfect. Deadhead: Not unless you do not like the way the seed heads look.